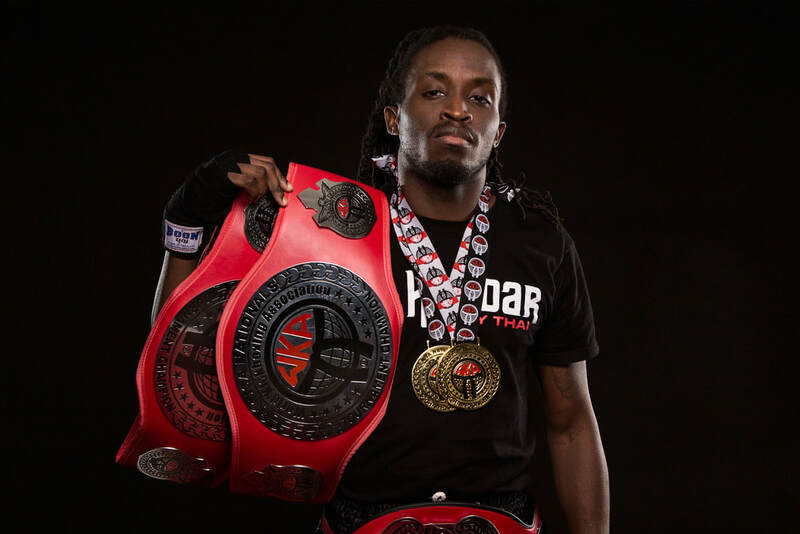 Josimar is an accomplished 6x Muay Thai Champion, instructor, and personal trainer with an incredibly inspiring mindset and deep passion for the art of Muay Thai. His interest peaked at the young age of 17 after watching the famous Ong Bak film, and 7 years ago he began his Muay Thai journey. Growing up Josimar was quite the athlete. He was a star track runner, and always turned heads as a young rugby, cricket, and soccer player. His intense work ethic, ambitious mentality, and prowess as an athlete stayed with him over the years. In 2012, with the encouragement and support of his big brother he took up a new ambition to become a Champion Fighter. "As I sit in the Pudong Airport in Shanghai, I started to think on a Tupac song "Staring at the world through my rearview" it then lead me to "Still I rise" the open lines "Dreams are dream but reality seem to be the only way for us" Far too many of us never dare to dream fearing to attempt due to our so called reality. At 17 i saw Ongbak for the 1st time, the next few months I had a burning desire to seek out this sport. My dad at the time said No because "I was doing too much." In his defense, it was a fair statement I was in the drama club with play rehearsals, Playing League Rugby, then Soccer and Cricket for my high school team. I put aside the idea but my dream didn't die. At 24 living on my own i decided with the backing of my big brother Blade to try this out. He wasn't too fond of me getting hit in the face but he supported the idea. Strangely enough I got rocked (in the face) by a 240lb 6ft 3 guy and it changed my outlook but didn't stop the dream. À year later i was walking in Kensington (dianna & toya) and stumbled across Krudar, I guess I could say the rest is history. Now here I stand, minutes away from the journey I so longed dreamed of. Fitting that my big brother was the one who dropped me off at the airport, for he is my testament that in 2012 when I started at Krudar I said I was going to win a belt and I was going to go to Thailand. Now here I am. You have to be obsessed with the Dream! If you gather nothing else from my entire profile is NEVER STOP DREAMING! No matter what people say or do. (But don't forget action, dreams are worthless without it"
Over the past 4 years Josimar's champion spirit has filled the walls of the Don Mills gym. His love and passion for the sport, coupled with his inspiring and persevering mindset make his presence felt wide-spread throughout the community. Josimar loves to work with the youth in the gym and to make positive influences through Muay Thai. In his classes, Josimar aims to spread his love of the sport helping students develop their Muay Thai technique so it feels second nature to them. His favourite technique is "Kicks". And his secret weapon? He's a Vegan Athlete! While developing the body, Josimar is also a strong advocate of mental training. Throughout the gym, he shares his tools of mental strength that can be used beyond the ring when facing life's obstacles. As Josimar would say, the goal is always to keep the mind right, the soul straight, and the heart strong. Try one of Josimar's classes, please see the Don Mills schedule here.